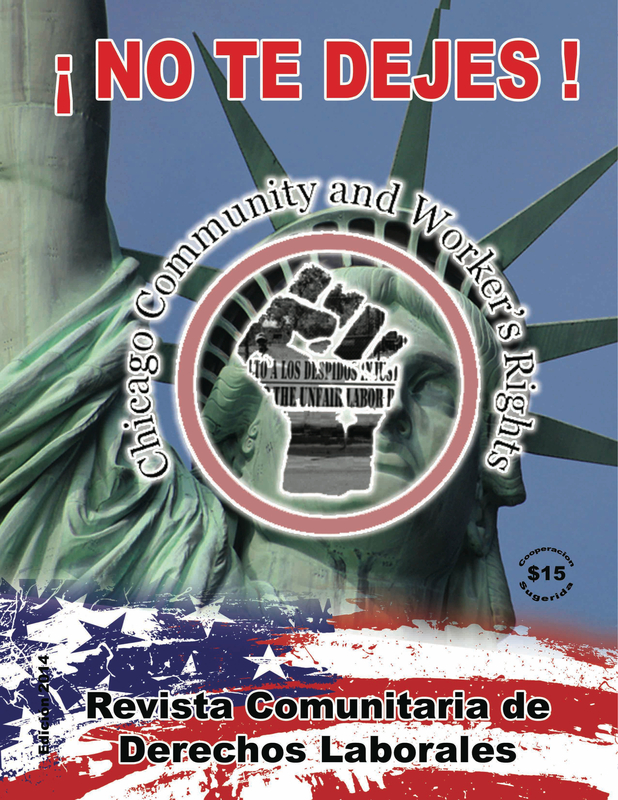 Chicago Community and Workers’ Rights (CCWR) was founded in June 2009 by a group of immigrant workers who saw a need for an organization dedicated to empowering all laborers to defend their rights. Led by workers, CCWR is dedicated to educating, building leadership, and gathering resources in order to develop organizing tools and collective strategies of resistance against labor rights abuses, towards just living conditions for our families. – Community Defenders trainings: Workshops that teach the tools available for workers to fight for their rights and employ the workers’ own experiences to learn from each other how to organize more effectively in their workplaces. – Support for workers fighting workplace abuses, including documenting grievances, filing charges with the National Labor Relation Board, and organizing support. – Mujeres Ayudando a Mujeres, a support group for women who have faced harassment and abuse at their workplace. Group is conducted in Spanish. Support for worker’s collaboratives, such as the Eco-Friendly Cleaning Cooperative, made up of workers who were fired after organizing at their workplace.